IDICBeer 40k: Win a Start Collecting Box Set and a Mysterious Prize! 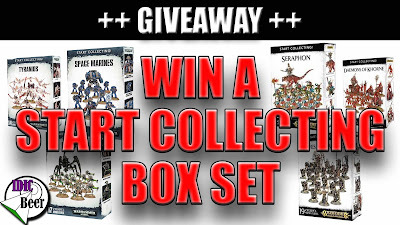 Win a Start Collecting Box Set and a Mysterious Prize! I have just hit 7k Subscribers on my YouTube Channel and here is your chance to win a start collecting box set and a mysterious prize in celebration! It's very easy to enter so just check out the video link below and try your luck!